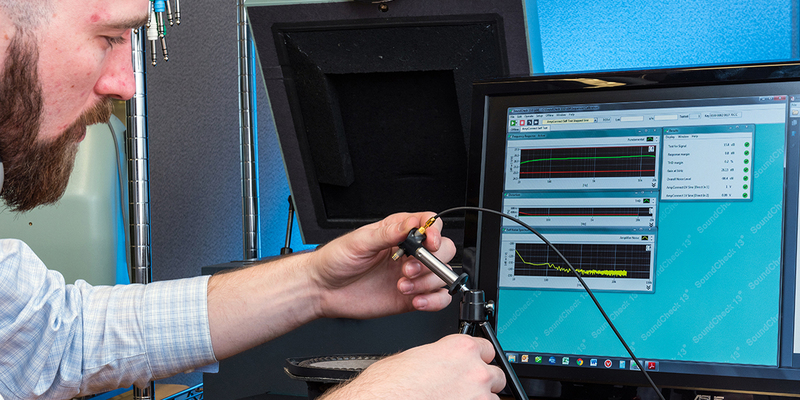 Measurement Services – Listen, Inc.
Take advantage of our well-equipped laboratory and our measurement expertise to outsource testing projects and sequence development. Listen Inc. offers consulting and test and measurement services, capitalizing on the expertise of its staff and its well equipped test laboratory. 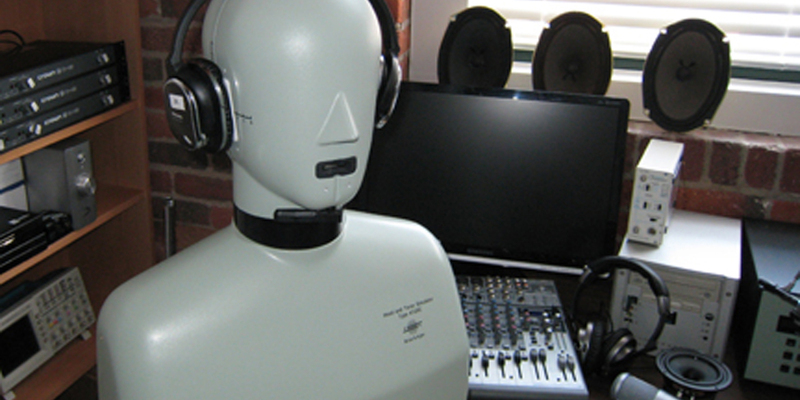 Located in our 8000 square foot Boston facility, our test lab is equipped with head and torso simulators, anechoic test boxes, turntables, calibrators, amplifiers, test microphones, a multitude of electronic interfaces and testing accessories, and of course fully loaded SoundCheck test systems. 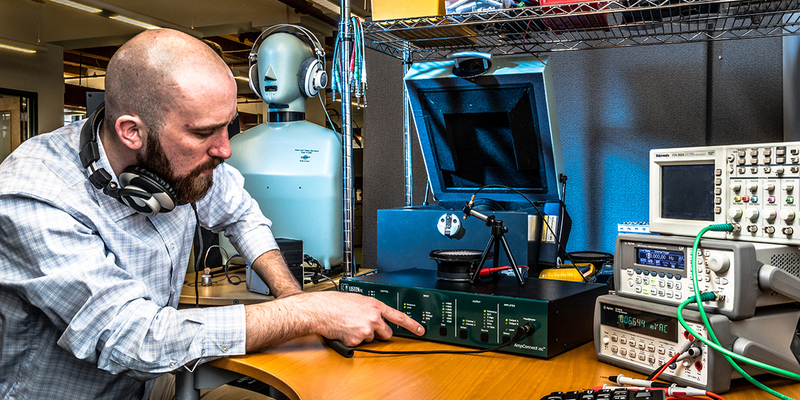 Our laboratory can test all types of audio and audio electronic devices including loudspeakers, microphones, headphones, hearing aids, MP3 players, bluetooth and audio electronics. For customers without in-house test and measurement experience, we can help you avoid the financial outlay of developing your own test lab and hiring a dedicated person, and since you only pay for the time you use, you can tap into the resources as much or as little as you need. If you already own SoundCheck, outsourcing your sequence development to our experienced engineers can significantly cut test development time, enabling you to be quickly up and running with new tests, freeing up your own valuable resources to spend time on product development, manufacturing and other important engineering tasks.